It was supposed to be a quiet trip. Relations between humans, Kyrion, and Votari – the three races that share the galaxy – were about as calm as they ever got. There hadn’t been any properly violent clashes in months. The Lotus was just supposed to deliver a cargo of Kyrion criminals to a prison planet. The prisoners’ quarters weren’t supposed to malfunction, so the alien criminals suddenly running loose on the ship were a nasty surprise. The Lotus wasn’t supposed to encounter any other ships on the way, so the distress call from a passing Votari ship was a major inconvenience. Still, as long as everyone kept their cool, it could’ve been okay. …right up until the plague hit. 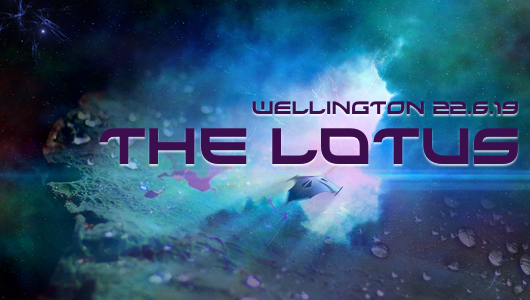 The Lotus is a sci-fi LARP about culture clash, moral dilemmas, and alien weirdness, inspired by Firefly, Defiance, and Doctor Who. Cost will be the usual $20 / $15 for NZLARPS / SAGA / VUWGC members and new larpers.